So perhaps inevitably the fossil beds of Liaoning in China have coughed up yet another fascinating feathered dinosaur. Yutyrannus huali (which translates as the ‘beautiful feathered tyrant’) is big – as big as some of the Late Cretaceous tyrannosaurines with the largest specimen being around 9 m long and estimated to have weighted close to 1.5 tons. In short, this was big. And feathered. While they are not brilliantly preserved, they are clearly present in places and directly associated with the skeleton as should be expected. There are a few interesting things about this and I’ll go over them in turn, though as ever the first port of call should really be the paper for the real nitty gritty. First off, the specimens themselves – there are three of them, so this is already a well known animal, and two are basically complete. There’s a lot of anatomy right there and yes, I have to confess, rather more than some other tyrannosaurs I could mention. Indeed two of them are preserved together, as a pair, which nicely hints at least (well, I’m going to say so) at the possibility of sociality (theropods being more social than previously suggested, how interesting?). Multiple specimens are always great and animals this size being preserved at all are quite rare in the Jehol, so it’s pretty impressive we have three of them. They are also preserved in that psuedo-3D manner I mentioned the other day so there’s really quite a bit of detail there and they are not badly crushed or mashed (as you can see in the pictures below). Now it is of course already known that tyrannosaurs were feathered, with the basal Dilong being preserved with feathers. The question is of course, did the bigger ones like T. rex have them? There’s been suggestions that they didn’t as they could overheat and there are hints of scaly, feather-less skin from impressions refereed to Tyrannosaurus. So while at least some tyrannosaurs certainly had feathers, and large ones certainly could have done, this is definitive evidence that they genuinely did. The size issue is of course interesting since indeed, very large animals tend to reduce insulation to avoid overheating (elephants, rhinos, hippos etc. are not that hairy and indeed elephants can struggle to keep cool). The obvious exception being animals that live(d) in cold climates like mammoths, and the researchers note that actually the environment Yutyrannus lived in was likely rather cooler on average than that occupied by a number of later tyrannosaurs, so this may indeed have helped them stay warm. Below are some pictures of the various fossils. While you’ve probably seen a number of these before on all the other sides my insider contacts means I’ve been sent a few to use which were neither in the paper nor press release. So there’s something novel here for everyone, even if it’s not in the text. Top image by Brian Choo (used with permission) and the rest courtesy of Xu Xing and colleagues. One issue I have with Xu & company is their thought that the Late Cretaceous tyrants were less shaggy. We have no evidence to test this at the moment. And while it is true that elephants and rhinos typically have a reduced pelage, comparable-sized giant ground sloths seemed to have done well with lots and lots of fur while living in tropical forests. So I do not think we can dismiss the possibility that even T. rex was fluffy. The thing that always gets me is that big theropods are always compared to big *mammals*, when it’s pretty obvious that feathers ain’t fur. But to the public it looks more like fur that their general concept of a feather, and may well have acted like it (it’s shaggy and filamentuous and flexible). As a simple and familiar analogy it’s the most obvious. I’d say ratite feathers would be a better analogy; and they certainly didn’t stop the elephant bird. Xu and I wouldn’t dismiss the possibility that T. rex was fluffy either, and I’m sorry if anything we said in either the paper or our statements to the media gave that impression. We just wanted to make the point that the fuzziness of Yutyrannus doesn’t necessarily imply corresponding fuzziness in T. rex and other truly huge Late Cretaceous tyrannosauroids, and that there are some good reasons (their even larger size, and the apparently warmer conditions of the Late Cretaceous) to keep in mind the possibility that T. rex et al. might not have been so fuzzy. We may have bent over too far backwards in the process of trying to get that across, though. Is that a tongue in fossil image 2? Or possibly the hyoid? Exciting stuff. Isotopic studies showed that the area is cooler than might be expected, I wonder if any isotopic studies could be done to show that Yutyrannus ran hotter than large nonfeathered theropods? Not sure exactly which bit you are talking about, but there’s no tongue. I’m going to suggest its the splenial… would like to be corrected if I’m wrong! I came to this conclusion from a brief scan of the recent monograph describing Alioramus altai – Brusatte et al. suggested that the splenial was quite like that of Monolophosaurus jiangi, and going by Currie & Zhao’s 1993 paper (Figure 2, p. 2031), the position is correct too. Thank you for a wonderful article with glorious photos and art. This is where I first found your great news and why I love following your blog. It rocks. Cheers for the beautiful feathered tyrant! Question, in the reconstruction I noticed rather plausible feather colors compared to other feathered dinosaurs. Did they test for the colored chemistry on the feathers or is that an artist’s interpretation? Also what are the two little blue-faced black feathered theropods in the painting? They’re cool too. No idea, but i assume at the moment not samples. And the smaller ones are supposed to be Beipiaosaurus, the idea being that these are the next largest animals known preserved directly with feathers. Thanks. It’s a beautiful reconstruction and I loved the article. Should be interesting if they do sample the feathers and deduce the real colors. 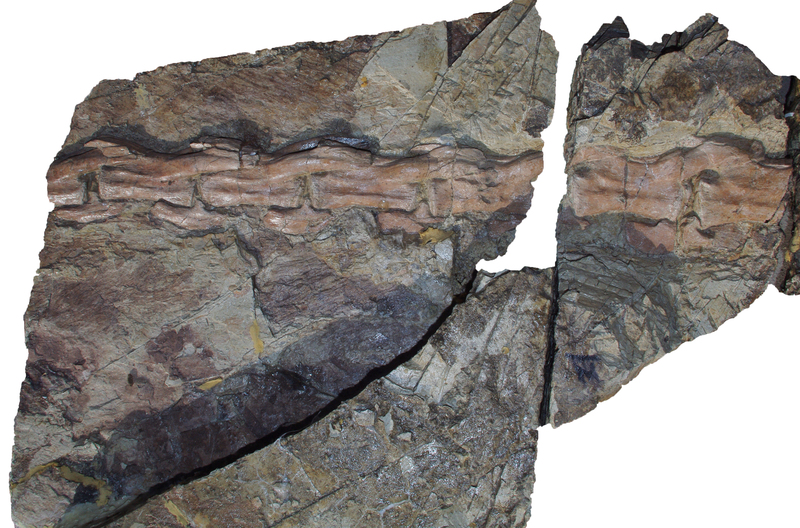 Predictable, no-one has said anything more about the real story here, which is of course the sauropod preserved in yummy Yixian sediment. Do you know anything about that? I’ve seen a series of sauropod cervicals from the Jehol years ago that were on display, but I know nothing about any specific specimen there Mike, sorry. Awesome news! Is it just me or does the snout is covered in feathers? I don’t think there’s anything on the snout, no. Well, not in that photo at least. Are they complete enough to to identify robust & gracile morphotypes b/c, if so, that would be good evidence for them being a mated pair. Even if not, it’s still a super-cool discovery. If I remember right the two together are not adult, but they are nearly identical in size. When you say “not adult”… are we talking in the same sense that Jane wasn’t adult, or are there good reasons to think they were genuinely prepubescent? Nah, jane is really young. I think these are most of the way to adult. IIRC and allowing for the vagaries of memory and dinosaur growth, say 80% ish of adult sizes. The comment by Thomas left me thinking. As far as I know, recent sloths have a lower metabolic rate than many non-xenarthran placentals in their size range. Applying phylogenetic bracketing (on the basis of current phylogenies, in which some sloths are close to the root of the folivoran tree), something similar may apply to extinct sloths. We may suppose pelage in large mammals in environments which are not as cold as those inhabited by mammoths and Coelodonta has something to do with metabolic rates. In such a case, may the discovery of hair or unhaired skin in rhinoceros- to elephant sized tyrannosarus suggest either large-sloth-like or large-ungulate-like metabolic rates? Once one puts aside the climate effect, of course (if we can). Those are gorgeous Spike. Commercially available? Great to see this specimen published. Wish they would have coded it for the generally accurate Senter 2010 TWG matrix instead of the sporadically coded Haplocheirus matrix (note odd things like paraphyletic carnosaurs, basal Archaeornithomimus, Beipiaosaurus+Alxasaurus derived within therizinosaurs, scansoriopterygids closer to Aves than Archaeopteryx and rather low resolution all around). I posted everything Xu sent me. I do have a few personal photos tucked away from when this was being prepped, but it was in sections on shelves and there’s really very little to be made out, plus I forgot to ask if I could use them, though it’s really not worth it. Way to go Brian Choo! I thought I recognized the style of that painting! What makes me feel stupider is that I actually saw and favorited your pictures on Deviantart without realizing who you were…and the deep and tear-fraught history we both shared. Short answer on all the other analyses people are mentioning: No, they haven’t done those yet!! Augusto: okay, sloths have low metabolic rates. But we also have ourangutans and sloth bears as examples of primates and carnivorans (respectively) with long fur in a tropical setting. Or, for that matter, cassowaries or emus. True enough, but they’re not really in the same size range as rhinoceroses or Late Cretaceous tyrannosaurines. Whilst T. rex and co may have been shaggy/fluffy, at least early in life, there does appear to be a trend of very large size + hot environment + elevated metabolic rate = less insulation. Maybe “hot environment” should be “hot, open environment”? Today’s rainforest elephants seem to be secondarily derived from savanna-living, grass-eating species. See also: humans vs. all other apes (gorillas are bigger than us). Dave, this isn’t the other tyrannosaur that was found with Zhuchengtyrannus, right? Different time, place etc. Nothing like it. Also, you sure you mean tyrannosaurine and not tyrannosauroid? I’m looking at the skull and it looks closer to basal tyrannosauroids to me. But this is from the untrained eye. I’ll say–Barremian vs Campanian–many eons. Apparently many long-haired tropical mammals have fewer hairs per square centimeter of skin, and therefore less insulation than mammals from colder climates that have the same hair length. In the illustration above, I can imagine the pterosaur swooping down to pluck parasitic insects off the backs of Yutyrannus. Oops, ignore what I just said. I miss read the tyrannosaurine statement. Sorry about the brevity of this post but how does Yutyrannus fit with Sinotyrannus? In their analysis, they found Sinotyrannus to be a proceratosaurid. Yutyrannus was closer to the Late Cretaceous tyrannosauroids than was Proceratosauridae. 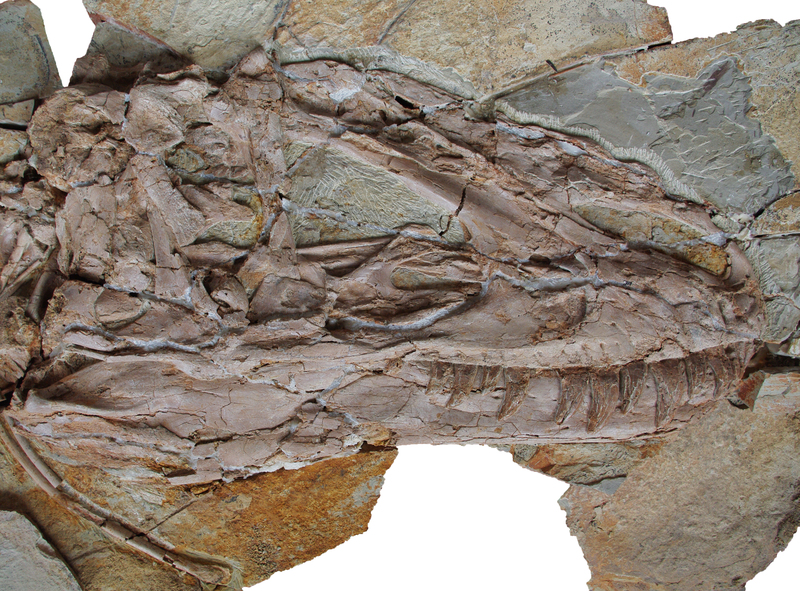 Sinotyrannus is from slightly younger rocks, too, if I’m not mistaken so that’s interesting. I don’t think they are, so your comment is rather misplaced. Obviously things can be multi-functional, but in general such a short and uniform coat would suggest a non-signalling function (unlike say elongate feathers on the arms, or a tail fan, or crest along the spine). I don’t see how they can possibly be ‘too short’ to be insulating, not only are plenty of them long (look at the last photo, they are over 10 cm long) but things like chinchillas have very short, but superbly insulating, fur. Well there’s more to insulation than just avoiding frostbite. It can simply be about maintaining core temperatures. Vultures have bare heads, but I don’t think you can argue that their body feathers don’t help keep them warm. And you think a large predatory theropod *didn’t* pout it’s head into carcasses? And my point is still valid – you don’t have to cover a whole body in the same insulating stuff for it to be generally insulating (bird feet are bare, mammal muzzles are generally fuzzy and not covered in dense fur etc.). And as noted, I don’t think they are presuming anything, merely suggesting it as a possible strong factor. I’ll just give an example I love: Giraffes and black rhinos are animals that live in the same place and have roughly the same mass, but one is more heavily furred. And I have yet to see a reconstruction of a naked Shivatherium, and that guy was quite likely well within “pachyderm” standards in terms of size. Good point, but I’d like to point out that the giraffe has a much larger surface area, so that particular example isn’t totally random. … at a glance, large tyrannosaurs strike me as intermediate between giraffes and rhinoceroses in surface area, if that means anything. After the giraffes and black rhino example given above comparing 3 variables of location-thickness(heaviness) of fur and the body mass(Both Warm blooded animals)_** . I like to point to additional strong evolutionary pressure for the features of hair(length-density-color patern etc.) subject to Other than ”Ambient Environmental Temperature or long term Climate change adaptation” . This long paragraph intended to show and remind that ”The hair and feather evolution ” is independent of INSULATION purpose from Ambient temperature ONLY . Since I had mentioned before the ” Mate selection preferences of Color patern” related to eyes” retinal layer’s color perseption evolution” the fur and feathers among socialized species (Dinasours included) . 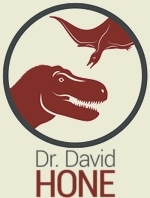 The mere fact of MULTIFUNCTIONAL nature of HAIR and Feather and their evolutionary pressure on the survival of the species is very clear , no mather how complex , obscure and hidden the evolutionary mechanism chosen in the long run might have been ..
I’m not an expert on anything, but it’s always bothered me a little that big theropods are so often compared to large mammals for one simple reason: theropods weren’t shaped anything like an elephant or a rhino or a hippo. 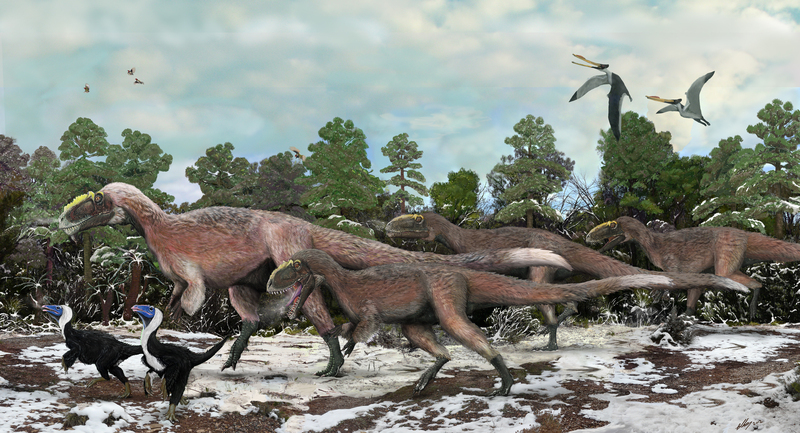 Compared to those animals, theropods had a much higher surface area at the same mass. That higher surface area means they shed more body heat. In fact, the giraffes mentioned above have IMO a much closer body-type to theropods than elephants and they are still completely covered in fur. So simply based on that one factor… surface area vs. body mass we *should* expect theropods to be able to be significantly larger than stocky mammals before their insulating covering becomes a detriment. Another thing that comes to mind is quite simply that theropods aren’t mammals and some specific physiological features, like air sacs for instance, could have allowed them to have much more efficient heat regulation. Aside from all of that I just wanted to thank Brian Choo for putting waddles on the faces of these creatures. I’ve often wondered what T-Rex would look like covered in feathers with turkey or vulture-like waddles on his face and neck. Really cool! Ok, we get it Dr Gündüz – hairlike structures can have more than one function. However, I don’t know any ectothermic or poikilothermic vertebrate that has truly hairlike structures – do you? It is also probably worth noting that where hairlike structures are coded for in the genotype, both hairy and less hairy morphotypes can occur in the same closely related taxon – eg elephant and mammoth or rhino and woolly rhino. If both hairy and relatively hairless forms are present in the same taxon, the closest modern analogue seems to be “hairification” based on environmental requirements, ie the need to keep warm. This hardly rules out the “hair” or feathers playing other roles as well, though, so no need to repeat your point. Though somehow I expect you will. You bet I will..For the Poikilothermic Vertebrate the clasical example with Hair like structures is so called ” Naked Mole-Rats ” do have about 100 fine hairs on their bodies that ‘act like whiskers’ to help them feel what’s around them. Hairs between their toes help sweep soil behind them while tunneling. Original ancestor was most likely an hairy mammal like other rats eventually evolutionary pressures forsed this animal to evolve into a Poikilothermic Vertebrate termite like existance No pain sensation of skin and No cancer seen among these animals . Echtodermic animals required to and ” need to” absorbe heat from the environment for their enzyme systems to function they can not produce enough heat or regulate their temperature endogenously . Evolutionary speaking this type of restictions ”of course you do not put Hair on your body for insulation purposes” because relatively warmer outside heat source primarily you need .. I think the potentially symplesiomorphic, basic filamenteous body-coverage of dinosaurs was not “fuzzy” or “cuddly” at all. 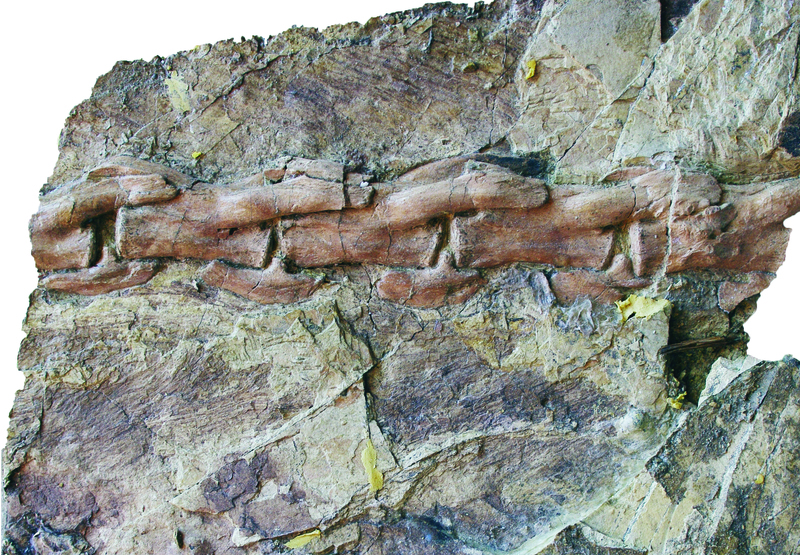 The preservation of the examples in Yutyrannus, Psittacosaurus and others seem to show, that the filaments were always only gently bowed in one direction and more or less preserved perfectly aligned parallel to each other. If they had the soft mechanical properties of fur or plumage, they would have been more curled and chaotic by stratinomic processes during embedding, given their length/thickness ratio. Therefore I think they were hardly more than extremely elongated, keratineous scales, which were elastic but not plastic. Mechanical analogues may be very hard bristles, or something in between the elongated scales on the dorsal midline crest of iguanas and the spines of porcupines. Depending on cross-section their elasticity might have been anisotropic, allowing for more bending in a certain direction (e.g. laterally rather than dorso-ventrally). One may speculate that the need for insulation in one or more clade(s) of very small theropod species may have led to the evolution of plumage-like properties, which in turn were eventually succeeded by the differentiation into true feather structures, enabling flight. Maybe this evolution took place in some cold-temperate regions, as other small dinosaurs, living in hot-tropical climate, like e.g. Juravenator had a predominantly scaly integument. The advantage of flight may than have resulted in the global spread of the flying clade(s), into various climates and biotopes. This would have begun before Late Jurassic (Archaeopteryx lived in tropical conditions). Well as long as you yourself recognize that is indeed a childish, non sientific (sic) opinion. I could not have chosen better adjectives myself for your views (childish and non scientific). Your views are also utterly irrelevant, because many dinosaurs had feathers, and that’s that. Nothing you can do about it. It seems the Barremian of China was an exception, an aberration. Cold temps caused widespread feathering. But in the mesozoic, that was an anomaly. Even since the mid-90’s when the evidence started cropping up that theropods were more bird-like than lizard-like, I’ve personally gotten more and more excited about it. Just the idea that behaviors that we see in birds and have always thought were unique to birds may predate flight is extremely exiciting. What if that claw on Deinonychus wasn’t for clawing open bellies of prey as “explained” in Jurassic Park, but served the same territorial function as the spur of game fowl? And those stunted arms of T rex and other tyrannasaurs make little sense as *arms* as they are always drawn, but make far more sense when folded up at the animals side like birds carry their wings today. Raptors do fine without arms! And there are other advantages to feathers other than insulation and sexual display. What about camoflauge? Or as a sound damper? I could imagine a large theropod hunting by smell in the jungle who is virtually impossible to see due to his hawk-life camoflauge, and difficult to hear as his feathers mute his movement, his arms sveltly folded against his sides so he’s streamlined as he slides through the branches, with the deep red eyes of maturity, perhaps letting out a screech as he lunges at you. In fact, that’s down-right terrifying to me. Lizard-like dinos are maybe more frightening because reptiles seem so alien to humans, but bird-like dinos are more frightening to me because they are more familiar… I can imagine how a bird-like dino moved and hunted and ate. And maybe it’s an exagerration to think they acted like birds today, but far less of an exagerration than the giant lizard picture we all grew up with. They scaly Tarbosaurus impression comes from the bottom of the feet. Hardly an argument against the animal being feathered in other places. 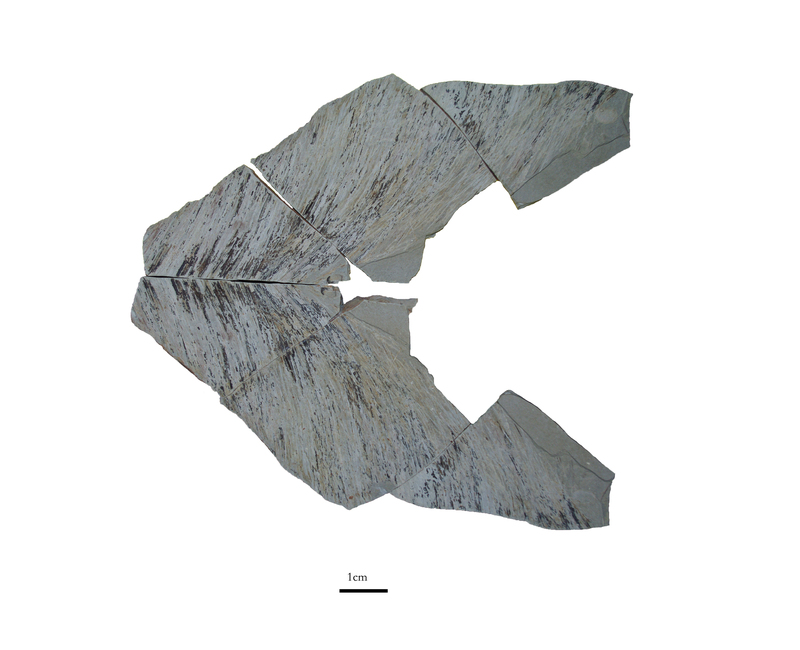 There are foot skin impressions, but Currie et al (2003) also found scale impressions associated with the thoracic region. The paper goes on to mention finding skin impressions for Albertosaurus, Daspletosaurus, and Gorgosaurus). In all cases, fine tuberculate scales are present. We also have scale impressions for one Tyrannosaurus specimen (“Wyrex” from the Black Hills), but it has yet to be published on.